We’re rolling out an update to the Lyft Driver app that makes it clear whether or not you’re available for new requests. And when you need to take a break, it’s just a tap away. 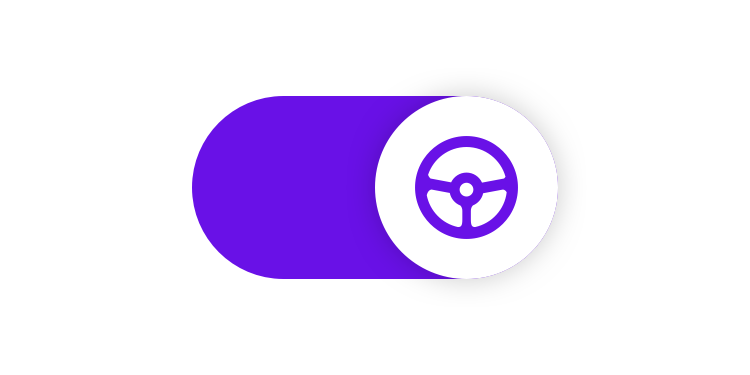 Just tap the wheel to receive ride requests, then tap again to stop receiving them. You're offline, which means you aren't able to receive any requests. You're online, which means you're available for new requests, or giving a ride. You're on your last ride: you won't receive any new requests until you go back online. Just tap the steering wheel icon to gray, and you’ll stop receiving new requests immediately. If you tap the icon while a ride is in progress, that will be your last ride (until you go back online). If it’s a Line, new passengers may still be added to the route, but you won’t receive any new requests. Keep your app updated to see this feature.